/ NaIO4) gave aldehyde 6. 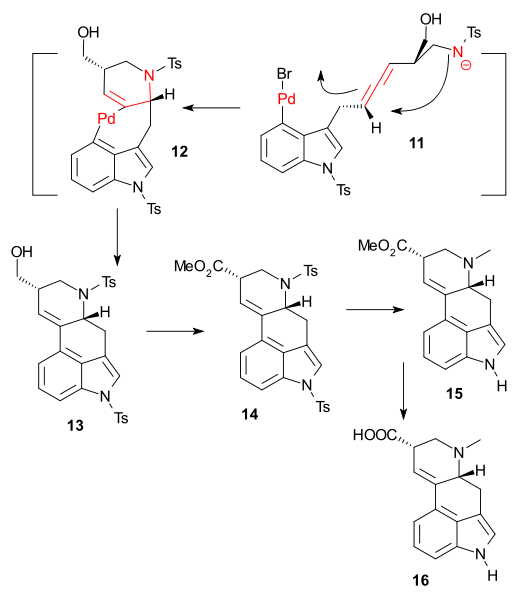 Chunks 6 and 3 were then joined in a Nozaki-Hiyama-Kishi reaction followed by alcohol oxidation to ketone 7 using Dess-Martin periodinane and asymmetric reduction back to an alcohol but now chiral using Alpine borane. 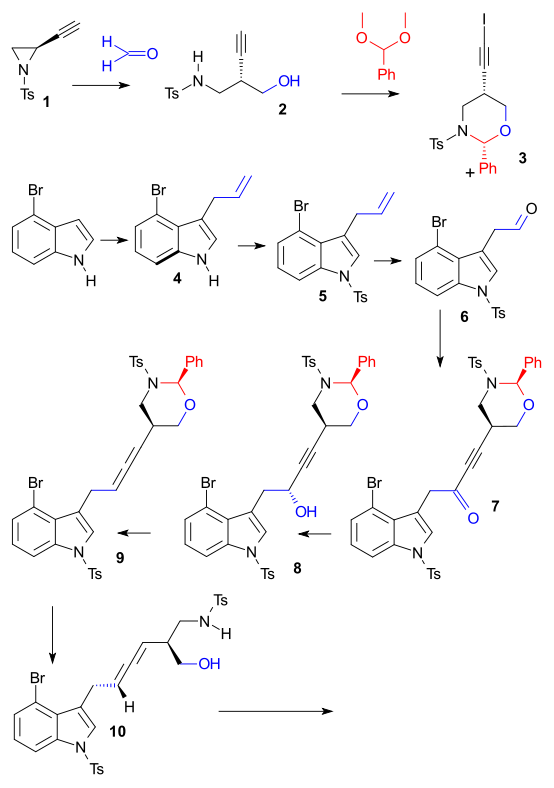 The allene 8 was formed next with nosyl hydrazine / Mitsunobu reaction conditions. Destination reached! Palladium count: 3.